Friday night, FSD descended upon LA to throw our biggest show to date alongside Red Bull Sound Select for their yearly 30 Days in LA concert series, which brings 30 concerts to the LA area for the entire month of November. It pairs the biggest headliners from around the world with the best rising talent in the Red Bull Sound Select pool, and this year did not disappoint. 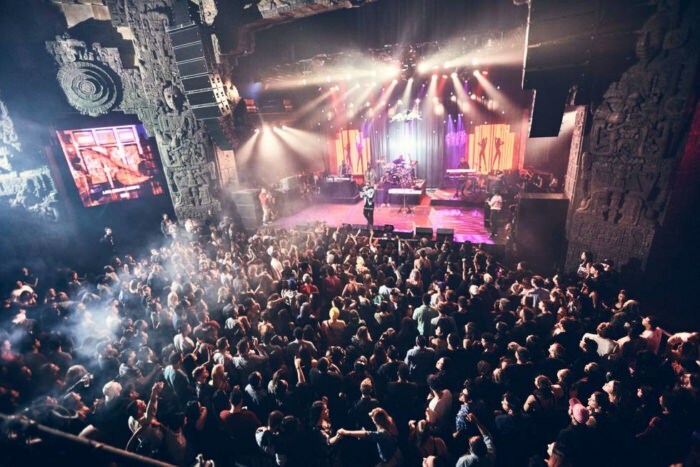 Thanks to the success we’ve had within the Chicago market with Red Bull Sound Select, the artists and our concerts, they decided to let us do our thing in LA, so we had to bring our A-game. The bill boasted a stellar lineup, including a headlining performance from Jeremih, as well as a special guest set from Chief Keef. Joey Purp, Warhol.SS and DJ sets from someguynamedty and DJ Oreo rounded out the lineup for the sold out event. The show was held at the historic Mayan Theater in downtown Los Angeles, with over 1500 people in the house. Fans who purchased tickets before sellout were treated to an unforgettable night including surprise appearances and performances from YG and The Game. It was truly a night to remember. So just know, that we’re just getting started. Expect more of the same around the globe in the future. Check out a handful of pics below courtesy of Red Bull Sound Select and photographer Koury Angelo, and look at the FULL SET HERE.